A man who was arrested after an alleged altercation between Fleetwood boss Joey Barton and Barnsley boss Daniel Stendel at Oakwell has been bailed until May. 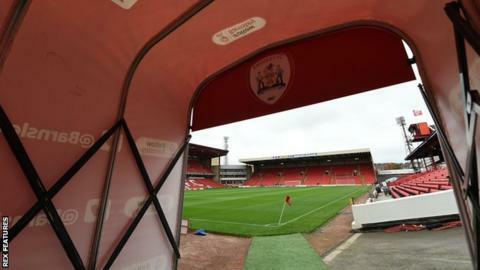 Barnsley complained to the FA and the EFL about the incident in the tunnel after Saturday's League One game. The match ended in a 4-2 Barnsley win. South Yorkshire Police appealed for any witness with footage of the incident to come forward, saying in a statement: "We would ask members of the media and the public to refrain from speculation in relation to this incident, as it could potentially harm the investigation.